Bristol blue glass lamp $195. 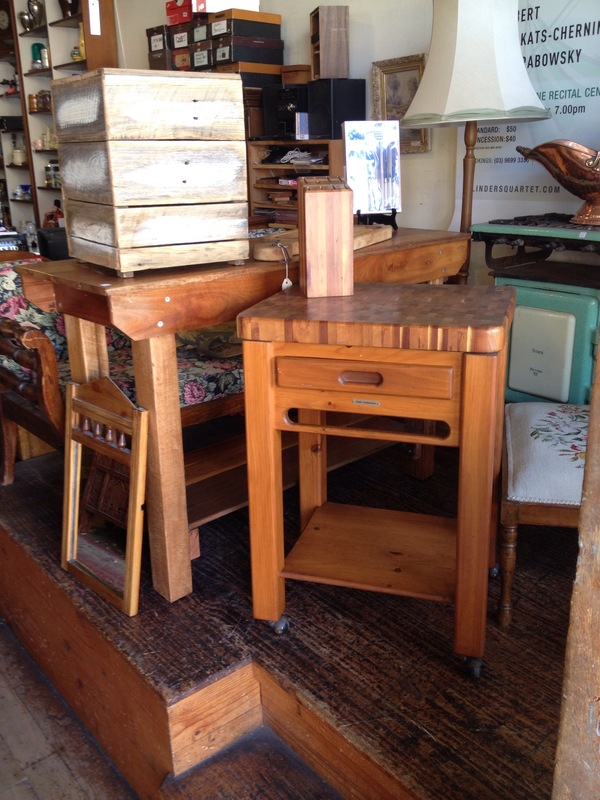 French extension table $1320 Chinese laquered cabinet $290. Chandelier from Paris $995. Chopping block by Peer Sorenson on castors. $345. Workbench/ bar in ash. $475.